To say that footfall in museums is declining will be a faulty assumption. 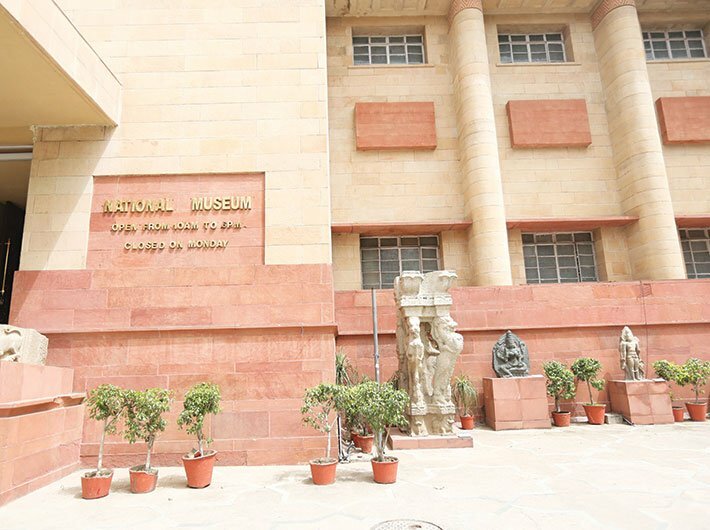 Even with a vast array of digital platforms now available to view, study and learn about archaeological collections, the National Museum in New Delhi remains crowded with visitors including mostly school and college students, art lovers and tourists. The two-storey building of the largest museum in the country stands on Janpath, with the India Gate a stone’s throw away. One spots visitors meticulously studying the artefacts, some with a pen and paper in hand. Visual artists and fine arts students sit at the corners of the different galleries and spend hours sketching the antiquities. Tourists and delegates from abroad too look enamoured by the place. Some are engrossed in the audio-guided tour. The museum holds over two lakh objects, both Indian and foreign: artefacts (stone sculptures, bronze and terracotta items), arms, decorative arts (items made of ivory, jade, ceramic, textile, wood, leather, bone, etc. ), manuscripts, paintings, numismatics, epigraphs and central Asian antiquities. These holdings cover a time span of more than five thousand years of the Indian heritage. Currently, the museum has 9,347 objects on display; as per the theme and available space. From time to time, artefacts are replaced. The museum attracts 1,000 to 1,200 visitors every day. “On Sundays and during vacations the number goes up to 1,500 to 2,000 visitors,” says an official at the ticket counter. “It is perhaps the only place where the Harappans meet the Mauryans, the Guptas meet the Cholas. Where one can appreciate Rajasthani paintings along with the Mughal art,” says Ankita Agrawal, a student of history from Banaras Hindu University (BHU). The museum is also a favourite place for visual artists. “Here, we have a vast universe. You sit anywhere and there is an art object to admire. As compared to other places in Delhi, the National Museum gives you a large canvas,” says Supriya, a fine arts student. Footfall in the museum remained unaffected even after demonetisation. There was a dip in the number of visitors in the initial days but it soon returned to the normal. Moreover, the museum was quick to install PoS devices for entry tickets. What ails the museum at present is, predictably, the shortage of staff and space. The museum premise also houses the National Museum Institute (NMI), a deemed university established in 1989, which offers courses in History of Art, Conservation and Museology. BR Mani, archaeologist and director general of the museum, says, “There is a shortage of about 40 percent of employees at the museum and the NMI. But the preservation, maintenance and other requirements in the museum are not severely affected as we have a small but dedicated team. But yes, the shortage does affect smooth functioning.” The museum is also facing space crunch. 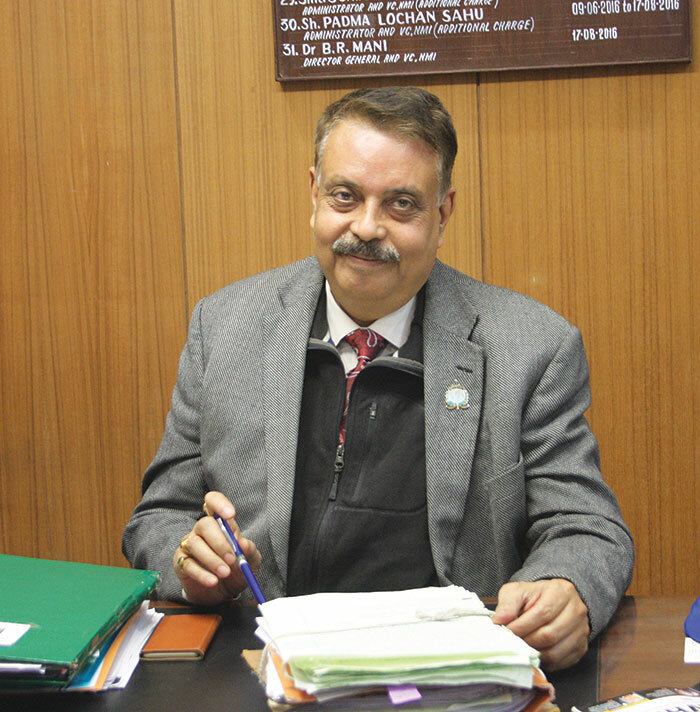 Mani feels that once the adjacent academic wing of the Archaeological Survey of India (ASI) shifts to Greater Noida, there would be ample space for the museum to expand and increase the number of galleries. Vasudevan undertook many initiatives in the museum. He revived four galleries and the museum welcomed scholars and interested students for research. Experts believe that his measures led to 20-30 percent increase in visitors within a year and a 112 percent increase in merchandise sale. Mani says that the museum does not focus on revenue generation. “Our motto is to reach out to the maximum number of people. We do this by organising exhibitions and workshops,” he says. The director is also initiating projects like his predecessor. The museum has signed an MoU with Haryana’s archaeology department to undertake an excavation project in Kunal village of Fatehabad district. “We will study the ancestry of the village and the pre-Harappan culture dating back to 7,000 BC,” says Mani. Moreover, an international exhibition called ‘India and the world’ will be organised for which 150 original artefacts will be temporarily loaned from the British Museum. its is being jointly organised by the National Museum, Chhatrapati Shivaji Maharaj Vastu Sangrahalaya, Mumbai, and the British Museum, London. 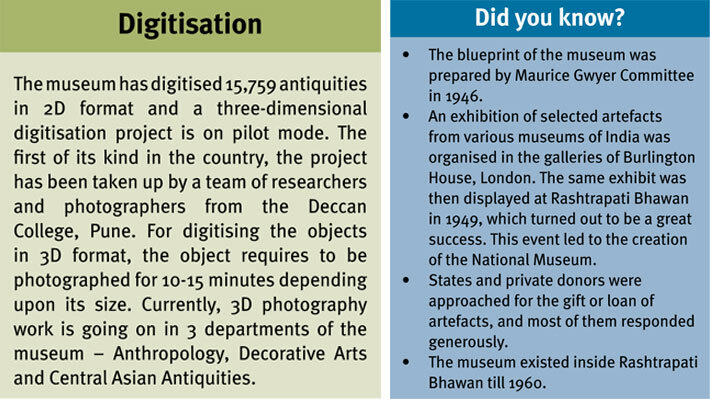 The NDA government increased the museum’s budget from Rs 11.23 crore in 2013-14 to Rs 20.02 crore in 2014-15. “Approximately Rs 24-25 crore is granted every year, of which Rs 15 crore is the requirement of the museum and rest goes to the NMI,” Mani says. Since its inception, the museum has retrieved 28 antiquities from different countries. According to a reply by the culture ministry in the Lok Sabha, the ASI presently has no proposal for the retrieval of artefacts from British Museum. The ASI retrieves antiquities from foreign countries, which violate the Antiquities and Art Treasure Act, 1972. There was no acquisition in historical artefacts in last five years. However, in 2016, the museum received one manuscript from France as gift and another Art object titled Yogini, which was smuggled out of India.